Pure Pastures choose Codeology for their new automated print and apply labelling solution. Pure Pastures, the Wiltshire supplier of animal bedding products to the retail supply chain have recently completed a £130,000 investment in a new baling and packing line. Following rapidly increasing demand for their products from the major retailers, Pure Pastures M.D. Jim Kinderman took the decision to automate many existing manual processes to allow efficient 24 hour, 3 shift production. As part of that investment Jim needed a print and apply labeller to apply barcode labels to the top of multi-packs. The requirements were for a simple to use, easy to adjust system with proven reliability. Jim commented "I chose the Codeology P150 labeller because it met all of our requirements. It is cost-effective, robust enough to handle our harsh environment and simple to use. We run 24/7 production so reliability, service and support are vital to us. As a Codeology customer for over 4 years we have experienced excellent reliability and Codeology are always available for help or advice whenever we need them. It was a simple decision to make." Jim Mason, Managing Director of Codeology said: "We are delighted that Pure Pastures chose Codeology for their end of line labelling solution. It speaks volumes for our product design, reliability and customer support that they have again chosen us as a supplier of their labelling needs." For further information see Pure Pastures web site here and the Codeology P150 labeller, including video of the system in operation at Pure Pastures, is here. 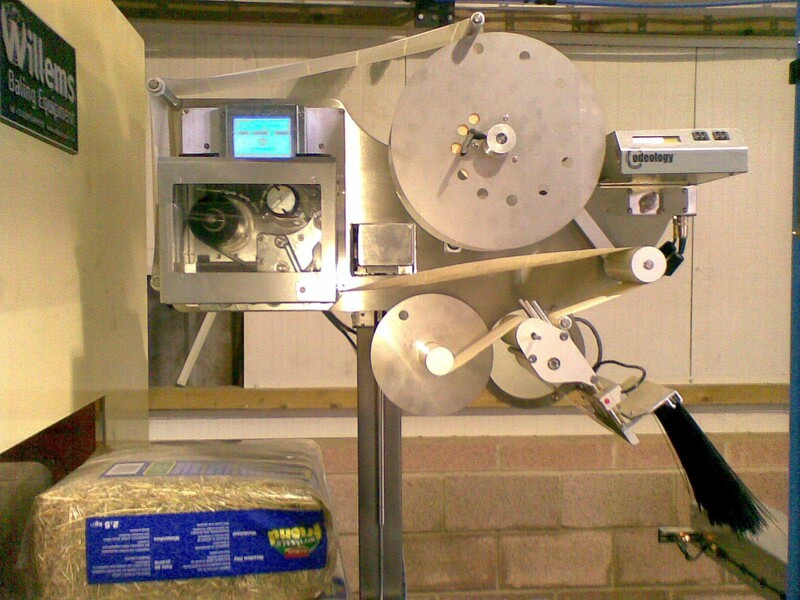 Wood Treatment Ltd choose the Codeology i100M MEK ink jet printer to code their plastic sacks.